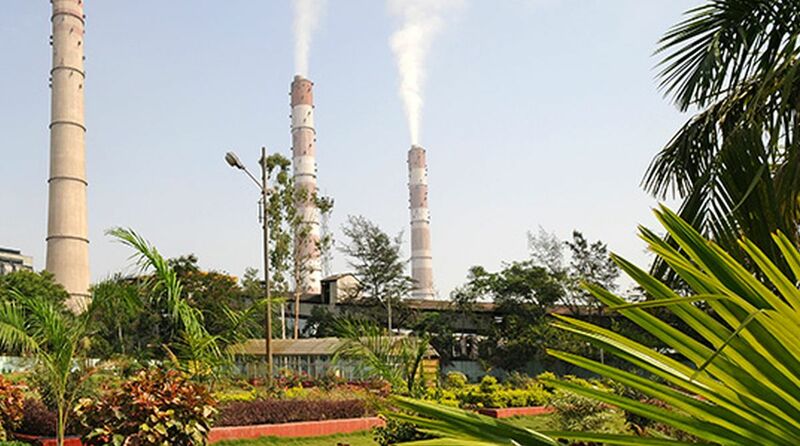 Severe coal crisis has once again hit the country’s second largest power plant, the 3000 MW NTPC-Kaniha. Till Wednesday evening, only one and a half day’s coal stock was available as against the required 15 days’ stock. The crisis is due to short supply of coal from Talcher coalfield field of Mahanadi coalfield Limited (MCL), particularly from the linked Kaniha mine for over one month. The short supply has forced the authorities to curtail generation of the power plant by 500MW. The plant supplies power to 17 states, including Odisha. The curtail also includes the state, according to a top official of NTPC. “We now have only 80000 tonne of coal at our stock to meet only for one and half day requirement of the power plant. It was more than one lakh tonne a month ago. As we get short supply we had to eat from the stock and if the supply of coal from MCL does not improve then we will have to shut down units,” said the official. The official said the plant authorities had to shut down unit no. 2 last week following a two-day strike by MCL contractual workers that stopped coal supply to the NTPC plant. The unit started working on Tuesday. An MCL official said all this was due to lack of production in feeding Kaniha mine owing to land problems. There is a minus 29 per cent growth in the coal production in the mine as on date. “However MCL is in touch with NTPC to solve the issue,” he added . The crisis is likely to escalate further as a outfit called the Talcher Surakhya Manch has called for paralysing Talcher mines indefinitely from 7 September. The outfit has demanded implementation of decisions taken at the last Rehabilitation peripheral Development Advisory committee (RPDAC). Murali Sahu, president of the outfit, said the MCL appeared to be reluctant to implement the decisions. “It is unfortunate that MCL is now refusing to carry out the decisions taken in recent RPDAC meeting chaired by RDC regarding the rehabilitation and Resettlement of the land oustess of Talcher and kaniha as was evident from a letter by MCL to RDC recently,” said Sahu. He said the village committee leaders of all the villages affected by eight coal mines at Talcher and Kaniha had a meeting at Hingula where it was decided to close all the coal mines and stop all sorts of coal offtake indefinitely till MCL agreed for total implementation. Earlier, the Talcher Khani Khadan Khyatigrastha Praja Sangh led by Manoj Pradhan held a demonstration in front of the sub-collector’s office on this issue. MCL official sources on the other hand said it had disagreed on certain portion of the minutes which were not as per the discussions at the RPDAC meeting. The strike threat is seen by MCL as a great setback for its efforts to augment coal production to meet the growing demand. Besides daily strikes, the three-day strike called last week by contractual workers has inflicted a great loss to the production of coal. Any further strike will virtually deal a great blow to the coal output scenario. Meanwhile, Talcher Sub-Collector Paresh Nayak has shot off a letter to the district collector and MCL authorities about the impending strike and the need to solve the issue.